RUSH: I want to try to get through as much of what we have here because it’s starting to back up, including news unrelated to the shooting event in Las Vegas. But the audio sound bites here, you know, they’re always interesting to react to, and reacting, frankly, is one of the most fun things we do here, particularly on the spontaneous side. So our first bite today is from Representative Al Green, a Democrat from Texas. He was speaking on the floor of the House yesterday. GREEN: Our nation is in mourning. Many hearts are bleeding. Mr. Speaker, there is much suffering. 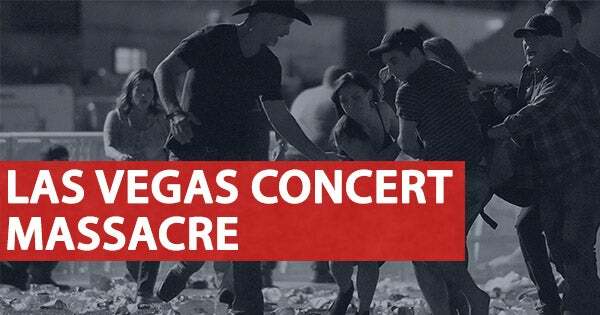 Lives have been lost in a senseless, needless manner in Las Vegas. Mr. Speaker, there is a right time for all things. This is a time for our nation to mourn and for hearts to heal. Mr. Speaker, I announce that impeachment is postponed. Let us mourn. Let us heal. RUSH: Wow. The impeachment is postponed! How many of you knew that impeachment proceedings were taking place? Well, they weren’t. This is just some ragtag renegade, some rogue out of Texas who’s working with Maxine, Auntie Maxine Waters, who wanted impeachment proceedings to get going so he filed some impeachment papers that nobody cared, they yawned about, and he decided to postpone impeachment yesterday because hearts are bleeding, Mr. Speaker, and it’s a time for our nation to mourn and for hearts to heal. I would think that this would be the time to ratchet up impeachment. I mean, if you’re really gonna go impeach Trump for high crimes and misdemeanors and so forth, this is his audience out there getting shot. If they hadn’t gone, they wouldn’t have gotten shot, the way these people think. But I just wanted you to hear for yourself that impeachment has been postponed, kind of like a rain delay. We don’t know when it’s gonna be brought back. Here we have a bunch of Democrats parading to the floor of the Senate to politicize the shooting. There’s a new thing the Democrats are doing. They are denouncing prayer now, since Trump endeavored to pray. They’re blaming Republicans. We have Chuck You Schumer, Richard Blumenthal, the fake combat war hero from Vietnam. He totally made up that he faced combat and he gets elected in Connecticut. And then Fauxcahontas, Elizabeth Warren. Up first up is Chuck You. SCHUMER: How did this monster acquire the arsenal he used to rain down death on a crowd of innocents? We’ll have to reckon with the fact that this man was able to assemble an arsenal of military grade weapons. As much as we might hope to, we cannot banish evil from the earth. Congress can’t do that; president can’t do that. What Congress can do, what Congress must do is pass laws to keep our citizens safe. And that starts with laws that help prevent guns, especially the most dangerous guns, from falling into the wrong hands. RUSH: You can’t do that. What law? What law that we do not have that you could enact that would have prevented this guy from getting his arsenal, Senator Schumer? That really is the question. There isn’t a magic law you have out there. We have 59 people dead. We have laws against murder. People still get killed in America. Not even laws against murder stop it from happening. What law could you come up with here that would, quote, “prevent guns, especially the most dangerous guns, from falling into the wrong hands”? The guy already broke every law on the book getting these guns. What’s another law gonna do? Automatic weapons are essentially illegal. Is the NRA advocating new laws to make them legal? Of course not. The NRA has no involvement whatsoever in trying to make the acquisition of illegal automatic weapons easier. What’s tough about this is this shooter had nothing in his background, at least that’s been reported, that would disqualify him from owning a gun. Not a thing. But even at that, he had to violate every law on the books to accumulate this kind of an arsenal. What law, Senator Schumer, could you pass that would have prevented these weapons from falling into his hands? What does that even mean? We need a law to prevent guns from falling into the wrong hands. What does that even mean, falling into the wrong hands? This guy didn’t have anything fall into his hands. He went out there and got them, and he violated laws to do it. I have had so many debates in private settings, not public, private settings with typical establishment liberal political types who just utter whatever they say on gun control because it makes them sound like they care. It makes them sound very sophisticated, but they don’t know what they’re saying. They’re just articulate. This is why I say the Democrats have no innovation. It’s like Hillary Clinton. She is programmed. She goes out and starts talking about, “We must take the politics out of this situation and we must start taking action against the NRA.” It’s stupid! She is putting politics in the situation. But I guarantee you that line comes from a Democrat playbook. Hillary Clinton can’t say it if it hasn’t already been said and published and approved in some Democrat Party policy manual. It is amazing to me. She cannot think on her own two feet. She cannot come up with something to say that is genuinely hers that she created from her heart or from her mind. Everything she says is a political cliche that has been popularized by the Democrat Party and the left for all these years. And so’s Chuck Schumer here. We have to have a new law to prevent these exceptionally bad weapons from falling into the wrong hands. How does that happen? This guy was minding his own business one day and all of a sudden a bunch of guns started raining down on him? No. The guy went out and sought them. He violated the law to get them. And I’ve asked these leftists that I’ve had these debates with — one of them was at a dinner party on Fifth Avenue right across from Central Park. The guy was a former Treasury official in the Nixon administration. He was a dinosaur. This was in the mid-nineties, and he was a dinosaur then. I don’t even know if he’s still alive. And he’s giving me all the clichés the left has about gun control. And it’s all about gotta get guns out of the society, the murder rate, the guns, there’s no sense in having people have guns. It’s senseless, it’s cruel, it’s stupid. “Why don’t you conservatives join us,” he said. You’re gonna make people more at risk, more vulnerable, the danger will increase, and in fact let me repeat this. These are stats from the American Enterprise Institute. From 1994, the percentage change in number of firearms versus gun homicides. The number of firearms since 1994 has increased 56%. That’s pretty substantial. Whatever the number is, it’s substantial. A lot of guns have been purchased since 1994. Fifty-six percent increase over what it was in 1994. But what about the gun murder rate? Well, guess what? The percentage of murders, the gun homicide rate is down 49% in the same time frame. Now, the left says more guns equals more crime, more guns equal more mayhem, more guns equals more dead people, more guns equals more murder. No, it doesn’t. Fifty-six percent increase gun ownership, 1994, 49% decline in gun homicide rates at the same time. You could say that having more guns has reduced the number of gun homicides. RUSH: Here’s the Connecticut Democrat senator, Richard Blumenthal, who lied about facing combat fire in Vietnam. His lie was exposed during a Senate campaign, and he still got elected. He looks — never mind. Doesn’t matter. Here’s what he said. BLUMENTHAL: I am now furious because Congress has failed to act. Nothing has changed since Newtown. Thoughts and prayers are not enough. BLUMENTHAL: Hand-wringing and soul-searching is needed. But it is insufficient. What’s needed now is action. Those five years ago when a man wielding a semiautomatic rifle murdered 20 children and six adults at Sandy Hook Elementary School in Newtown, the cries of grief echoed around this country. And there was a moment when action could have been taken. We need to seize this moment. RUSH: We did. This is what gets so frustrating. This is a pure emotional appeal, and it works. It works on emotionally consumed, temporarily at the time brain-dead people. “We gotta do something!” What? This guy broke every law that already exists. “Don’t care. We need to do something.” Okay, what could we have done to stop him? “I don’t know, but we gotta do something.” But this guy broke every law we have. “I don’t care. He should have been stopped.” What would you suggest? “Get rid of the NRA. That’s the problem.” That’s how it works. The NRA’s not advocating for people to be able to buy automatic weapons, machine guns. The NRA didn’t do anything here. The shooter had nothing in his background that would disqualify him from owning a gun. Did the NRA own the Mandalay Bay hotel? Did the NRA rent the guy the room? Did the NRA have anything to do? Nothing. The NRA’s a bogeyman for the left. The leftists know that most of their supporters don’t have any knowledge whatsoever about guns other than, “They’re bad, they’re bad, they’re horrible.” That’s all they know about guns. And they know even less about gun law. They just know that we have to get rid of ’em. “We gotta get rid of the guns!” Because they’ve been told that if we get rid of the guns that Sandy Hook wouldn’t have happened and this wouldn’t have happened. There is no concern for constitutional rights because only 30% of the American people can even tell you the three branches of government correctly. And besides, now the Constitution was written by a bunch of racist pigs engaging in toxic masculinity, so it doesn’t even have any credibility with people. So that’s why people like Hillary Clinton and the brainless Jimmy Kimmel were all over the NRA yesterday, creating false narratives, false stories, exploiting the ignorant with emotional appeals when emotions are raw. That’s how the politically craven behave, when people are suffering, when dead bodies are still warm, these vultures are flying over the scene within minutes feeding off of the crisis, feeding off of the despair. It’s no different than with the Gentle Giant in Ferguson, Missouri, “hands up, don’t shoot.” Didn’t happen. Same playbook, same feeding frenzy every time. And every time we have to show up here and start mouthing the same fact-based defense of whatever aspect of our country is under assault today by these same people. Here’s Fauxcahontas, Elizabeth Warren. She was on the floor of the Senate yesterday. WARREN: Thoughts and prayers are good, but they’re simply not enough. Thoughts and prayers are not enough when more moms and dads will bury their children this week, and thoughts and prayers are not enough when sons and daughters will be forced to grow up without their parents. Attacks like we have seen today have happened all too often in America. Enough is enough. We have to have a conversation about how to stop gun violence in America, and we need to have that conversation right now. RUSH: You do not really want that conversation, Senator. You do not really want it because it has nothing to do with the NRA, and it has nothing to do with guns, and it has nothing to do with gun law. You want to find out why this guy did what he did? You’re gonna have to learn a lot more than what you think the NRA is responsible for. You’re gonna have to learn a lot more about the specifics of this guy’s life and what they are that drove him to this. But I’ll guarantee you, the NRA couldn’t have done anything to stop him. Getting rid of the NRA wouldn’t have stopped him. There’s not a single law you could have passed at any time in the past that would have stopped this guy from doing what he did. If you really want to stop this guy from doing what he did, find out why he was mad. You people on the left are always interested in remedial things, right? You think evil characters can be saved. Well, find out what drove this guy over the edge. Is it gambling? Ban gambling, then. Is it debt? Did debt drive him nuts? Then ban debt. Is it gigantic government where nothing can get solved? Is it bureaucracy everywhere no matter where this guy went, he couldn’t get a solution, he couldn’t get even anybody to take what he had to deal with seriously? In that case, ban government. I mean, where does this end, Senator Warren? I’ll tell you where it doesn’t end is where you want to take this. You could get rid of the NRA, you could strip the Second Amendment out of the Constitution, and events like this are still gonna happen, probably even more of them. When you fix it so that people cannot defend themselves in circumstances like this, you are guaranteed to get more of this, Senator Warren. And if you ever did that, all of the forthcoming death would be on you. And then let’s see what you have to say about prayer being irrelevant. Let’s see what you have to say about prayer and concern being not enough. What is the purpose of prayer, Senator? What is the purpose of prayer for you to categorize it as not enough? What are people praying for, do you think, Senator? Are they praying that they wish it hadn’t happened? Are they praying for the salvation of the souls of the dead? Are they asking God for understanding? What are they praying for? And until you know that, how do you know that it’s not enough, Senator? The presumption of these people drives me batty. These assumed know-it-alls on the left who wouldn’t understand basic human values if they got slapped upside the head with them. RUSH: Now I want to go to audio sound bite number 6. Jimmy Kimmel. The Democrat Party has gotten its hooks into Jimmy Kimmel. Ever since his son had the episode at the hospital, Jimmy Kimmel has become an emotional expert on the Democrat Party agenda. First Obamacare and socialized medicine and everybody ought to have it and nobody ought to have to pay for it. It’s inhumane to have to pay for health care, especially your sick infant and so forth. And now Jimmy Kimmel is becoming an expert on the Democrat Party’s version of the NRA and gun control. For those of you who watch Jimmy Kimmel, I just want you to know that every monologue that he will do on this is going to effectively be Democrat Party talking points. Ever since he got off onto the Obamacare tangent, look, he’s always been what he is, make no mistake. But with that monologue, the Democrat Party I think has established channels. And here’s a guy who was funny as he could be, he was a great comedian, but it wasn’t enough. Everybody in showbiz wants at some point in their careers to be taken seriously. It’s great getting laughs, it’s great making people laugh, but at some point, like actors, who, when called to testify, say they play a farm wife in a movie, and then some senator who’s got a crush on actress calls her up to testify on farm problems in America because she portrayed a farm wife in a movie. The actress readily accepts the invitation because it’s a chance to show off her brain. It’s a chance to show that she’s much more substantive than just an actress. So they all jump at the chance. Take a look at this the next time you read a showbiz interview. It’s the most amazing thing. An actress will portray — in this case I’ll give you an example of a real life character who was a victim of something. And the actress who plays this character is then interviewed by the Drive-Bys as the movie is coming out, and they’re trying to hype ticket sales. And the actress is accorded expert status. The entertainment reporter asking the questions assumes that the actress or actor, depending on the role, has become an expert on that person. And the actress or actor willing accepts this and starts describing what they learned about the person as they worked hard to prepare for the role. And so people who are pretending to be other people for a total of a couple of hours are automatically granted expert status in who those people are. And I just marvel at these interviews as I listen to these actresses and actors describe these people they’re portraying as though they are educational historians who know everything about it, and they don’t. Well, this is what’s happened here to Jimmy Kimmel in a way. Kimmel was a great comedian. He was uniquely funny. I especially liked him when he did the predictions bit on the Fox NFL pregame show back when it was good. He was hilarious. I haven’t seen the late-night show much, but he was genuinely funny. But now Jimmy Kimmel has become a political expert, and he is looked at as a political expert. “Absolutely, Congressman or Senator,” whatever. It’s very seductive when it starts happening to you, especially if you’re a Hollywood entertainer and here come all of a sudden the ugly people in showbiz — that’s politicians — they call you, and they want to make you legitimate in a world of really serious stuff. So you accept it. So now Jimmy Kimmel has gone from being an expert in health care to an expert in gun control. And here is a brief segment of his monologue last night. KIMMEL: When someone with a beard attacks us, we tap phones, we invoke travel bans, we build walls, we take every possible precaution to make sure it doesn’t happen again. But when an American buys a gun and kills other Americans, then there’s nothing we can do about that. Second Amendment, I guess. The Senate majority leader, Mitch McConnell, Speaker of the House, Paul Ryan, a number of other lawmakers who won’t do anything about this because the NRA has their balls in a money clip also sent their thoughts and their prayers today, which is good, they should be praying. They should be praying for God to forgive them for letting the gun lobby run this country, because it is — it’s so crazy. RUSH: All right. Now, wait a minute. Wait a minute. You say it’s over the top, but every bit of that, have you not heard that before? The NRA runs the country, runs the Republicans, the NRA’s responsible. It’s cliched. All of that is Democrat Party talking points. Mentioning Paul Ryan and McConnell is what ties this guy to the Democrats. Don’t you see? I mean, I don’t know the process here. I don’t know who is teaching Jimmy Kimmel what to know, what to say, and how to say it. But all of this is cliched. It’s like Hillary Clinton, when this event happened, “We’ve got to take the politics out of this and start seriously blaming the NRA.” That’s right out of a playbook. Hillary, tell us what you really think about this. Don’t give us something that every Democrat’s memorized that is a talking point from your speech messenger and manager. That’s what this is. All of that is clichés. That is an assembled bunch of cliches that make a monologue. The NRA — one more time — the NRA had nothing to do with this. You could have gotten rid of the NRA 25 years ago, this would have still happened. The NRA has no linkage to this whatsoever. There’s not a law that you could pass that would stop this guy from doing what he did. He already broke existing laws, including murder laws, to do what he did. But let’s get to the point that the reason this happened is the NRA owns the Republicans. “Well, that doesn’t mean anything.” Exactly. It doesn’t mean anything. “Well, the labor unions, I mean, they’re not shooting guns.” No, you’re missing the point. If you’re gonna blame financial donations and contributions by the NRA for impacting American life, then you had better be prepared to agree that twice as much money donated by Big Labor to Democrats has the same kind of impact. “It doesn’t get people killed, it doesn’t put guns in –” Not the point. Not the point. You’re trying to point out here that all of this money is itself corrupting. Well, if that’s true, then you guys have twice the problem. I doubt that Kyle Griffin even understands how he has had his tweet rammed right back down his throat, ’cause in his world there’s nothing wrong with labor unions, there’s nothing wrong with labor unions giving to Democrats. The NRA is a standalone. The NRA doesn’t advocate for events like this. In fact, the NRA probably works harder than anybody to prevent events like this. “What do you mean? That’s the stupidest thing I’ve ever heard. You can’t say that.” I just did say it, and it’s true. There’s no more gun safety oriented group than the NRA. But the NRA is not in charge of how people behave. But I don’t know what else you want. Every law on the books was already violated by this guy, including murder, meaning no law stopped it. You could confiscate every gun — well, you actually couldn’t do that, but let’s say you could. Let’s say you did confiscate every gun that you know exists, you could pass a constitutional amendment, you could make it illegal, and you could get every gun. This guy would still find a way to get the guns he got and use them. “What do you mean?” ‘Cause he broke the law, for crying out loud. Laws don’t stop these people. “You mean there’s nothing we can do to –” Not with laws, and not the NRA. You’re not gonna stop this by going at it the way you’re going at it. You’re not even getting close to finding out why this guy did this. You’re stopping at the NRA made it possible. The NRA enabled it. They did not. They had nothing to do with this. There’s not a single gun owner in the country except the people that sold this guy guns that had anything to do with this. None of that matters, because the cliches attached to the emotionalism of bashing Republicans and bashing the NRA is all that’s necessary. Just like every other liberal solution to a problem, it doesn’t solve the problem, it doesn’t even address the problem. Liberal fixes for health care, where’d that get us? Liberals fix Social Security. Where’d that get us? Liberals fix deficit spending. Where’d that get us? Liberals attack the national debt. Everything they fix gets worse. RUSH: Here’s a question for all the late-night comedians, and they all weighed in on this, except I think Jimmy Fallon didn’t, but the others did, and in a predictably cliched way. Here’s a question. Have any of these late night comedians ever done a heartfelt monologue on all of the gun murder in Chicago? The totals there dwarf what happened in Las Vegas. The thing is in Las Vegas it happened in one day. Chicago in just the last year, certainly two, has a murder total that dwarfs this. And Chicago’s run by Democrats. So we don’t really hear much. I mean, we never hear about the NRA and its responsibilities in Chicago. We never hear late-night comedians or anybody else demanding that the NRA do something. We don’t even hear that people ought to be told to get rid of guns in Chicago. There’s literally nothing said about what goes on in Chicago. But there certainly have not been heartfelt and heart-tugging tear-filled monologues and comments about the gun homicides in Chicago. Why is that, folks? Why do we not get that? Why do we not hear that? It’s been going on a lot longer than what happened in Las Vegas. But it fascinates me, and I mean, I know the answer to my question. It’s still is a fascinating question. Where is all of the hurt? Where are the heartfelt monologues over what’s being done to our children in Chicago every weekend? We don’t hear a peep about it. And the answer, of course, is politics. Democrats run that town, so nothing can be wrong there. RUSH: Here’s Phillip in Las Vegas. Great to have you, sir. How are you? CALLER: Hey, I’m doing good, Rush. Hey, I’d like to make a point that I can answer your question. Sell weapons or guns only to conservatives, because they don’t seem to be the ones doing the shooting, which brings me to my second point. RUSH: Wait, wait, wait. Sell guns to — say that again. RUSH: Only conservatives buy guns, is that what you’re saying? CALLER: Yeah, if you want to make a law, only sell guns to conservatives. RUSH: Oh! Oh! You’re talking about a new law. Okay. Okay. CALLER: And that brings me to my second point. If the shooter was a Republican, the liberal news would have outed him the minute they identified him. That’s what I believe. RUSH: I see where you’re going with this. You’re saying the guy probably might be a Democrat because the media isn’t reporting that? CALLER: Or a Trump hater. And the only other alternative could be a false flag shooting to start trouble to take our guns away. CALLER: Those are two scenarios. RUSH: Yeah, let’s leave that one aside, the false flag. CALLER: I know. I understand. RUSH: Okay. So you’re two things. You’re proposed law is only sell guns to conservatives? What would that accomplish? I may not be following you here on that. What’s the point? RUSH: Or apolitical. I got you. Okay. His whole point here is that the shooter must be something the Democrats and the media don’t like, otherwise if the shooter were conservative and a nutcase and a lunatic, they would have pointed this out, and they haven’t. Okay. I’ll think about that.